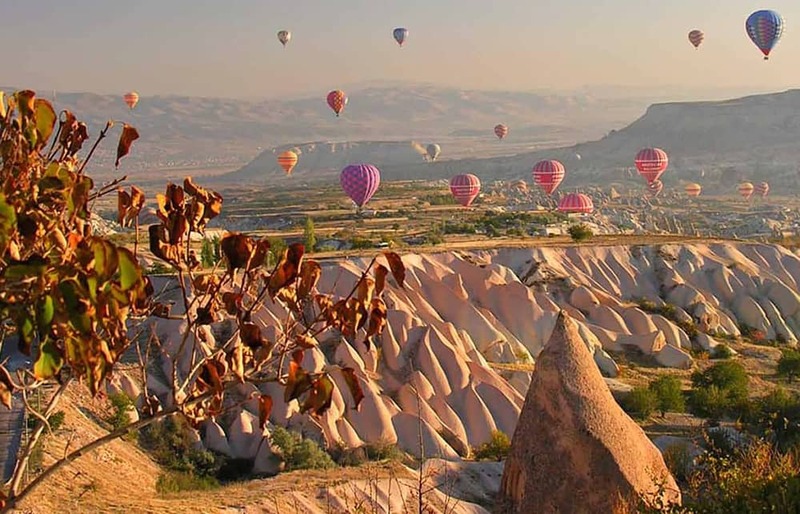 It is one of the largest town in Cappadocia. And also ıt was one of the old villages of Cappadocia effected by population exchange in 1923. Three big rock formatin fairy chimneys are called as Three Beauties are waiting for you here. You can see these beauties from our hotel terrace also. Three Beauties (or 3 Graces) Fairy Chimneys ("Üç Güzeller Peri Bacaları") are the most famous fairy chimneys in Cappadocia. The two large ones and the baby one in between have several legends attached to them. Some say these 3 are the goddesses Athena, Aphrodite and Hera, who between them caused the Trojan War. There’s another legend: A princess and a shepherd fell in love and had a baby boy. They were escaping from unapproving father King, and wished from God to turn them into either a stone or a bird. God accepted their prayer, and they converted into these stone fairy chimneys. It has a number of lovely hotels, built in and around centuries-old cave dwellings. The city used to be a center of a trade during Seljuk times. Today it is popular for its handicrafts and small shops. City of Urgup and its surrounding area are known for their mysterious fairy chimneys, early Christian rock churches and fine wineyards.